I'm 99% sure the AO was representing the Vishanti at the end there, possibly as an avatar of Agamotto. If you read carefully, at one point the off-panel "blue voice" uses the phrase "We agree". The Ancient One always speaks in first person, on-panel. 1. Stephen vacates the mantle out of some sense of misplaced guilt. 2. The Eye (NOT Stephen) chooses Jericho. 3. 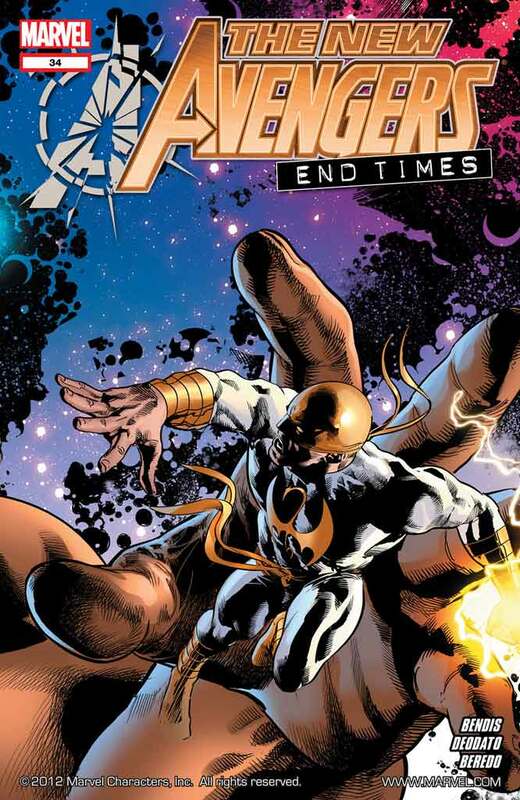 Agamotto attacks Jericho to reclaim the Eye, ultimately leading to his death. 4. Later on, Daniel attacks Strange who defeats him and reclaims the mantle. In order for this to work, the Vishanti set Doctor Voodoo up, not only to lose, but to DIE. The test doesn't work, otherwise. Now, if instead, the Eye had never been passed on, and Strange had defeated Agamotto/The Ancient One with dark magics, we'd have an interesting story arc. But by dragging the Drumms into into, Bendis has made the Vishanti beings who murdered a good man (two, technically) as well as a handful of innocents, just for the lulz. This could all have been avoided, if Jericho had been killed by someone else. ANYONE else. But he wasn't, and the story falls apart. 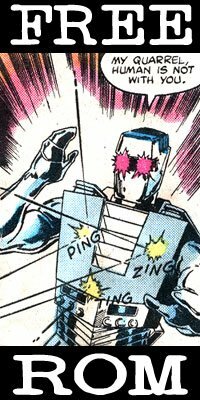 I agree with above comment in that the holes in the story logic are as plentiful as a perforated mafioso body after Punisher had at it. If the Eye was taken away by the Vishanti then the Vishanti should be the ones giving it back to the Sorcerer Supreme, not AO, even though it could happen it seems so very unlikely. You guys have mentioned the rest. The new black n red costume is terrible, especially how the chest design is now a red trident instead of the iconic energy-demon-bat thing. The best outfit has still been Marcos Martin's version in The Oath. I actually would have preferred Strange to not get the title of SS back and instead have it tackled much more proficiently in his own or by another writer who, hopefully, wouldn't have fucked up continuity this bad. Seriously. Thank Oshtur Bendis' run is over! Looking at the Agamotto? Ancient One? good/bad issue, the whole thing is a complete mess. I'm just glad that one, I haven't collected it, and secondly that Dr Strange is back! Why didn't Stephen call The Ancient One/Agamotto/the Vishanti on the death and destruction caused by this "test"? Instead, he just accepts it and moves on. Mario - you may not believe me, but i DID think about the whole "test" aspect and how, if the whole thing WERE a test, then Jericho was set up to die. However, I firmly believe that the ANCIENT ONE meant when he said that "everything is a test" is that LIFE ITSELF is a test. I do not think that this whole "Agamotto / Eye / Ancient One" thing was a test. If so, then why (and HERE's ANOTHER PLOT HOLE you may not remember...) was IRON FIST supposed to be a tainted "avatar" of Agamotto? From N.A and 'Iron Man 2.0' - which was the whole reason Iron Fist got the new costume and went a little crazy soon after coming back from his talk with "the Ancient One" - in N.A. #3 or 4 or whatever. And no, I also do not think that the Ancient One's use of the word; "we" in "We Agree" meant that he was speaking for anyone else (unseen). I think it was just Bendis' poor grammar for meaning "We are in agreement" or "I agree with you". I think the A.O. was agreeing with Hellstrom that, YES... there needs to be a Sorcerer Supreme. But, those are just my 2cent opinions. Since so much of Bendis' planned works tend to end up unused or forgotten, or "there was no room" we have to work with what is printed. as is the case wherein Strange NEVER really states - emphatically - that Daniel Drumm got rid of the other mystics because they would be able to DESTROY Drumm via black magic! Strange doesn't come out and state that at all, he just says that Drumm killed the others because they were USING black magic. 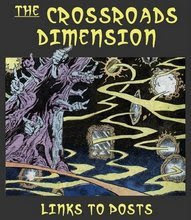 Then, Doc pulls out the pentagrams and lays down some damnation magic to win the day. But from all that, we can INFER that Bendis meant that the black arts would be the only way to get rid of Drumm. Ahh... Bendis. I feel he should give me a portion of his checks since i have to mentally "write" half of his stuff in order for it to make sense. My biggest hope is that the next solo Strange project ignores a lot of this garbage. There is precedent, after all. I'm with Mario on this one, P: I think the Ancient One was speaking for the Vishanti, or at least Agamotto. Besides the 'we,' there's also a font change in the panel where he hands off the Cloak and the Eye. But very little makes sense in that whole 'restitution' speech. The most successful moment is actually the fairly banal "Look, you were defending this world the whole time; you inspired others to stand up for you and you in turn stood up for them -- you're the man for the job and everyone knows it" point. While I don't doubt that whomever takes over this story (possibly even Hickman) may make it that the Ancient One WAS working with/for Agamotto and the Vishanti (although, he has a LOT of tap-dancing to do to take away the sting of Jericho Drumm's death - BUT I DO have a theory on THAT as well - which I'll add to the end of this reply)... I do NOT think that Bendis had that in play here. Sure Bendis MAY have intended it as well... BUT... it is NOT what is on the page. One of Bendis' BIGGEST failings is that he's still writing like a small-time indie writer, and leaving plot points on the cutting room floor because he "ran out of room". The font change? A simple Typo by the letterer. If there were MORE than one such font change, then it may mean something. One word balloon? A glitch. Agamotto chose Jericho to be Sorcerer Supreme and set him up to "die" as a test. But the test is that Jericho was WILLING TO DIE to protect the Earth! That's how Doctor Strange overcame death and became "immortal". So, this was a test for BOTH of these men. A test to see if Jericho WAS indeed worthy for the next step. And a test to see how Strange would handle it. Jericho is not truly dead. He has passed into another realm and is with the Vishanti -who also are not destroyed. A useful out, but it needs a bit more massaging. 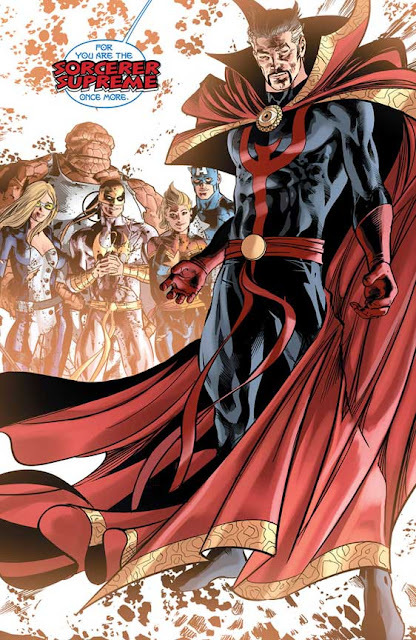 When Strange passed his trial, he immediately returned to Earth and his duties as Sorcerer Supreme. He didn't hang out with the Vishanti for a lengthy time period afterwards (only person I know who did that was Silver Dagger, and he didn't enjoy it at all :) ). Furthermore, even if the Vishanti needed Jericho somewhere else... you'd think he'd have at least a free moment to tell his brother he was still alive? Not sure it works for me. 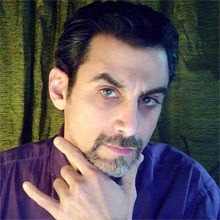 But then again, I've become phenomenally picky about my reading matter as my hair grays (I'll be able to cosplay as Stephen myself in a couple of years. ;) ) so perhaps I'm being unfair. If I was going to bring back Jericho, I'd pick up some of the danglers from the Voodoo mini, and suggest that the being we thought was Agamotto when Jericho died was actuakky Marinette Bwa Chech in disguise, as was "Daniel", and both brothers Voodoo are prisoners of Ogoun. I LOVED much of the Voodoo mini series. Ogoun has all the makings of a fabulous foe, and I was enjoying the history that was being set up therein. Like you, I'd hope that if someone were to bring back Jericho, i would hope that they'd tie in those loose plot points. As for the Strange cosplay, I'm right there with you. I need to replace the photo of myself at the top of the blog... that was taken when I first started the site and my temples have greyed since then. The trouble with the impostor-Agamotto scenarios is that you still hit a snarl -- why didn't the real Agamotto intervene? Did the Vishanti let someone else pose as themselves to test/teach their Sorcerers Supreme? Jericho Drumm is probably alive somewhere, since Daniel couldn't find him in the nether realms, but preoccupied with something else. Maybe he got drafted into the War of the Seven Spheres and Strange never knew? While I am VERY glad that the Doc is back to his old role of SS, and downright ecstatic that Bendis is done mutilating the character to go hack up the X-teams, this was a usual Bendis muddle of a story. And the art was, to put it simply, a downright mess. :-( I really do hope that some competent writer and brilliant artist will take up writing Strange, and do justice to the character. I think the latest series of the Defenders is done--can we hope for a solo title for Strange since they're (theoretically) planning a movie? Let's just hope we don't look back on Bendis' tenure as a sweet dream if they continue to write comics to promote the movieverse. As usual, a great post, P! I hope to be more active now that I've finally found a place to settle. 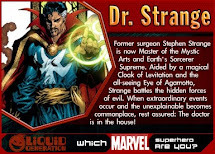 Strange should've just stuck to the title of Master of the Mystic Arts while he wasn't Sorcerer Supreme. Maybe he couldn't get the coffee stain out of it so decided Sorcerer Supreme or nothing. Logic and dialogue aside, I definitely thought the art was wonderful (except the stupid battle cartoons). It doesn't sound very Strange when he says you went and made me mad, but I was amused by the last words? nevermind. I don't have the vast resources you do, but I have been reading some stuff, and I was thinking of this part when I came across a short scene when Strange says his normal "By the Vishanti!" and the omniscient narrator says any passerbyer would hear "good heavens!"